Many years ago, St Lukes, along with the other churches in the team, took the fair trade pledge. This meant that we as a church as well as all the groups that use our church, would use only fair trade tea, coffee and sugar. We have had a Fair Trade stall in church which over the years has been run by Hilary, Bill, Sue and Andrea. Over the years we have held fair trade events, gone on marches, travelled abroad, had fair trade cake sales, the children have learnt about fair trade in Footprints, where they also collected money to buy “gifts for life” and had a lot of fun entering the Real Easter Egg competition which a group of our children won a prize for their “jingle!” More recently, the PCC agreed that the gift for Margaret at the end of her curacy should be a fair trade gift. (Which she was very pleased with). 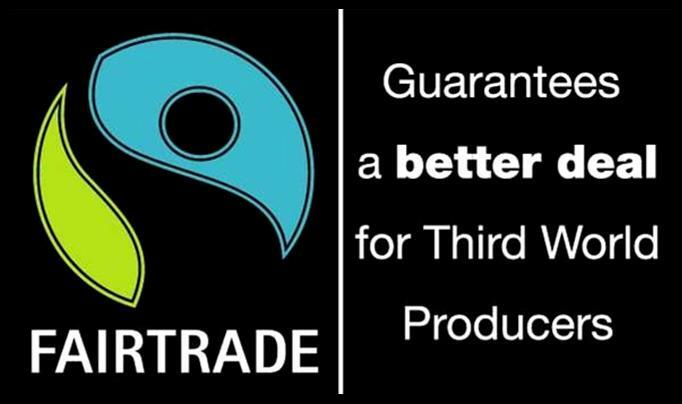 We feel there is a lot more we could be doing to be supporting fair trade in our church. A few of us have got together to look at organising events throughout the year to show our continued support for people less fortunate than we are.